Whether you’re tired of changing energy-expensive bulbs, paying large maintenance fees, have had fixtures damaged in a storm or collision, or if your current lighting is simply old, dim, and outdated – it’s time for an upgrade. A free lighting consultation by one of our experienced project managers will add clarity to your project. We have the solution that’s right for you and the experts to get the job done right! A poorly lit parking lot is a hazard waiting to happen. While a well-lit parking lot certainly keeps your property secure, increases visibility, helps customers to feel safe and navigate without difficulty, the cost of bulbs and regular maintenance can be costly! Energy expensive halogen and incandescent lighting simply doesn’t measure up to LED technology. Why wait until your lighting is dim or broken? You can avoid crime and accident while energy-saving LEDs keep cash in your pocket. If you’re considering an LED upgrade, here’s a few essentials to consider. Already have lighting in your parking lot? Assessing the state of your current fixtures is step #1. Are the poles and flood lights on your property in good condition? If your fixtures are in good condition or particularly decorative, you may be interested in retro-fitting your existing fixtures with LED Corn Lights. This option is particularly popular with upscale retail properties, HOA associations, and luxury business properties. However, if you’ve had the same fixtures for the past 20 years, you may need to replace the fixtures altogether. Commercial dealerships, outdoor malls, and industrial properties often prefer LED Area Lights and LED Parking Lot Lights with sleek, contemporary designs which are suitable for multiple areas. Pro Tip: If your parking lot has dark areas that need better coverage, LED Solar Pole Lights could save you the cost and hassle of running electricity to a new location! Light poles are made of various materials. Concrete, fiberglass, aluminum, and steel are the contemporary favorites. Yet, after a number of years (and numerous powerful storms), all good poles deteriorate. Even concrete poles may appear stable on the outside, but the interior metal can and does eventually corrode. Our experts suggest hurricane-rated fiberglass poles which outlast the competition, stand up to the storms, and are cheaper to ship. They come in a variety of heights and can be customized to suit your project. Be prepared for the next hurricane! Wattage, beam angles, and lumens? Oh my! There is a wide variety of options when it comes to lighting. The wattage needed will vary depending on the dimensions of the parking lot, the space between fixtures, and the height of the poles (or wall for mounted flood lights). Additionally, many bulbs and fixtures come in a wide variety of beam angles and color temperatures, ensuring each light covers the space intended in the desired shade of light. Optional features such as Dusk to Dawn Photocells can also be added in order to automatically operate lights when night falls, and motion-sensors can be used to activate lights only on the occasion of movement nearby. Also, with all those extra lumens, you might be worried about light pollution. Never fear: No Sky Glow LED Corn Lights and fixtures are here to keep our nights starry and bright without polluting our skies! If your head is spinning, we hear you. That's why we offer free consultations with a lighting expert to help you through all the intracacies of your specific project. We want to be sure you have everything you need to light up your space. 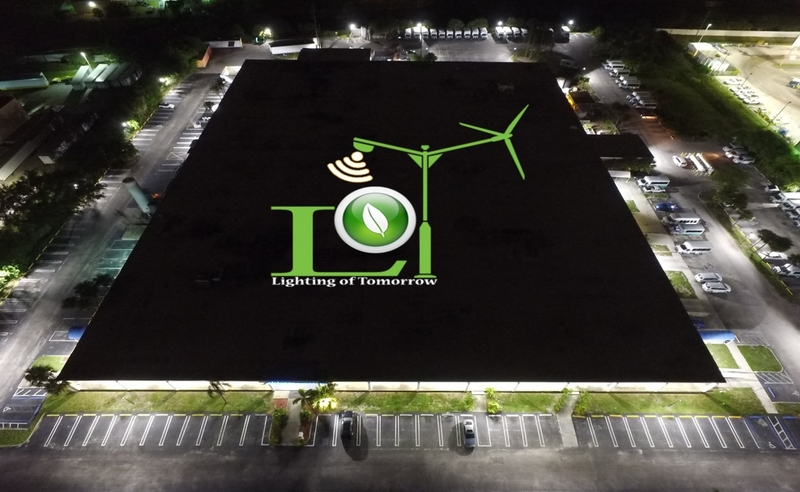 Energy efficient and enviornmentally friendly LED Area lights are a great way to achieve your parking lot dreams. Check out more of our recent Parking Lot upgrades at our YouTube channel!